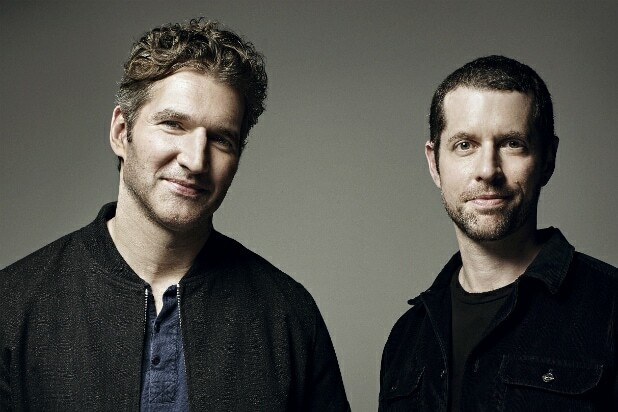 When the “Game of Thrones” creators announced their next project — “Confederate,” an alternate-history series that imagines a different outcome to the Civil War — on Wednesday, they knew there would soon be backlash. “We all knew [the backlash] was coming in one form or another,”D.B. Weiss told Vulture in an interview Thursday night along with partners David Benioff, Malcolm Spellman and Nichelle Spellman. All four will be executive producers and writers for the upcoming drama. “You’re dealing with weapons-grade material here,” Spellman told Weiss and Benioff when they first started to talk about the project. Indeed, the backlash was swift and fierce online. On Twitter, Weiss and Benioff were accused of wanting to whitewash history. “It is exhausting to think of how many people at @HBO said yes to letting two white men envision modern day slavery. And offensive,” one user wrote. “You know, we might f— it up. But we haven’t yet,” said Benioff. In response to the idea that the show will end up as wish-fulfillment for white supremacists, Spellman said “what people need to recognize is … the sh– is alive and real today. I think people have got to stop pretending that slavery was something that happened and went away. The sh– is affecting people in the present day. You can read the entire interview on Vulture, here.